You asked for your shot to have an in depth comment from a member of the Critique Club. Super cool shot, i really like it. There is not a lot to critique on this shot, you have good colours, i like how the background black has a tint of green in it as well. 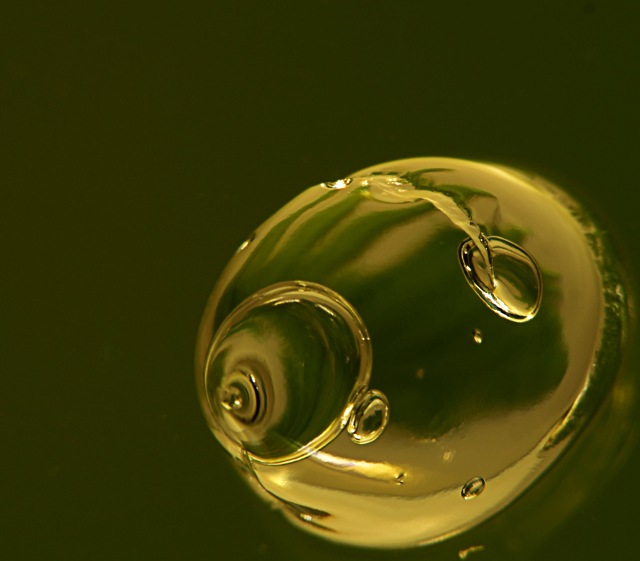 Your gold green, is spot on, your bubble is tack tack sharp, rule of thirds is good, your POV and DOF is spot on. My own personal nitpick is the end of your interesting shot is out of focus, that is it. Took awhile to get to this one, very nice! Proudly hosted by Sargasso Networks. Current Server Time: 04/21/2019 02:24:05 AM EDT.